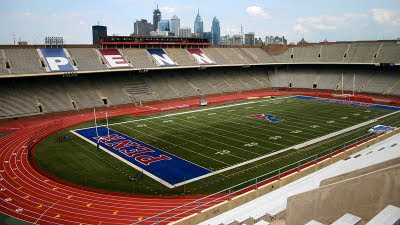 BREAKING NEWS: Sam Luff recorded his second personal best in 6 days, running 30:13 for 10,000m early this morning at the Penn Relays, arguably the greatest track meet east of the Mississippi River. Luff, gunning for a sub-30 race, hit 5,000m in 14:56 but then struggled for a few laps before hitting 8,000m in 24:05. This PR comes right on the heals of a 14:15 last Friday night in Princeton. Luff topped Ryan Foster from PACERS who finished in 30:41 and his younger brother, Tommy Boy, who runs for Penn State. Luff now leads GRC in both the 5k and 10k distances. Also in the City of Brotherly Love, Ryan Hanson fought long and hard in the 5,000m run and bested his PR in that distance with a time of 14:41. Hanson split 4:36 and 9:18 for one and two miles, respectively. His last mile was run in 4:49. MORE TRACK: On Saturday Chuck Kacsur will make his season debut in the 800m at Shippensburg...aims for 1:56.15 a new club record. Last week Chuck time trialed a 1:59. ON THE ROADS: Dickson Mercer returns to his alma mater to run the inaugural Gettysburg North-South Marathon, competing for the Yankees (?). Nice work. You guys are really on fire. Lots of attacking this spring, it seems. Not much standing down. Good job! A PR despite waiting to race until after midnight?? Amazing. Great races guys! Great work Sam and Ryan! Good luck Chuck and Dickson!